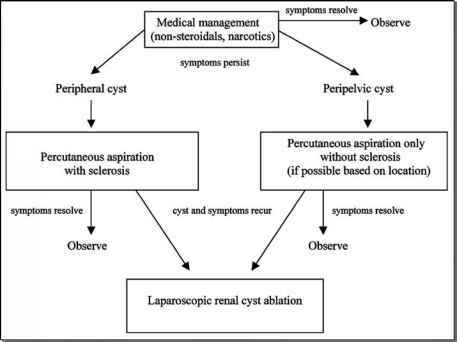 The management of ureteric stones has evolved from open surgery to minimally invasive procedures such as ureteroscopy, extracorporeal shock wave lithotripsy, and percutaneous antegrade removal. The results of ureteroscopy are best for lower-and mid-ureteric stones. Park et al. reported a success rate for ureteroscopic stone removal of 75%, 94.6%, and 86.4% for proximal-, mid-, and lower-ureteric stones (21). Extracorporeal shock wave lithotripsy is suitable for managing ureteric stones of less than 1 cm (22); however, as the stone size increases, the chances of clearance decreases and the chances of multiple procedure increases. Koch et al. reported that up to 36% of patients require multiple sessions of extracorporeal shock wave lithotripsy and 46% require auxiliary procedures in order to get patients stone free besides the need for stent insertion and removal at a later date (23). Park et al. reported that the stone-free rate decreased from 84% to 42% when the stone was greater than 1 cm (20). Percutaneous removal is indicated in patients with large stones in the upper ureter, but it is sometimes difficult to manage ureteric stones below the inferior border of the kidney. The results of mid- and lower-ureteric stones are even more dismal (24). In a series of percutaneous removal of ureteric stone, a complication rate of 43% was reported and 22% of patients required a supracostal puncture (25). Percutaneous removal is indicated only as a salvage procedure in those patients where extracorpo-real shock wave lithotripsy or ureteroscopy have failed. Laparoscopic ureterolithotomy is indicated for large impacted ureteric stones preferably in upper- and mid-ureter, as the results of extracorporeal shock wave lithotripsy and ureteroscopy are poor and require multiple sittings and auxiliary procedures. By contrast, laparoscopic ureterolithotomy achieves complete stone clearance in a single operative session in a minimally invasive manner. Retroperitoneoscopic nephrectomy is the ideal procedure for patients with poorly functioning, hugely dilated, or giant hydronephrotic kidneys due to stone disease, irrespective of patient age and type of renal anomaly. management of upper- and mid-ureteric stones, and also lower-ureteric stones have been managed successfully but require experience, skill, and patience.